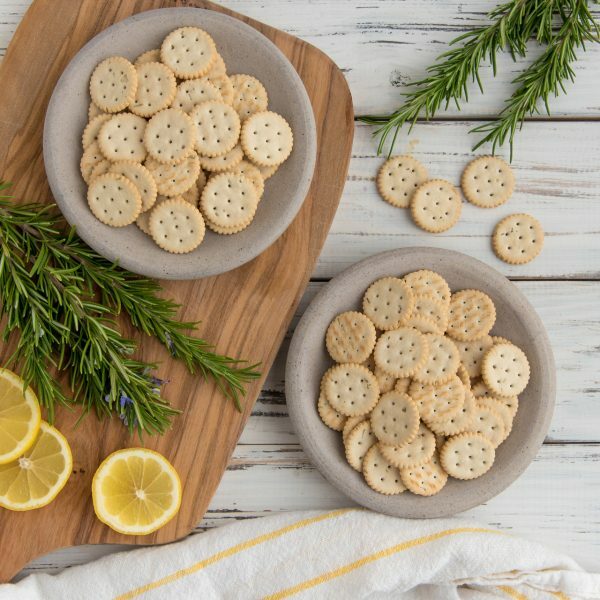 These vegan crackers pair fine-grained chickpea flour with the unique aroma and taste of Mediterranean rosemary to make a truly special snack. 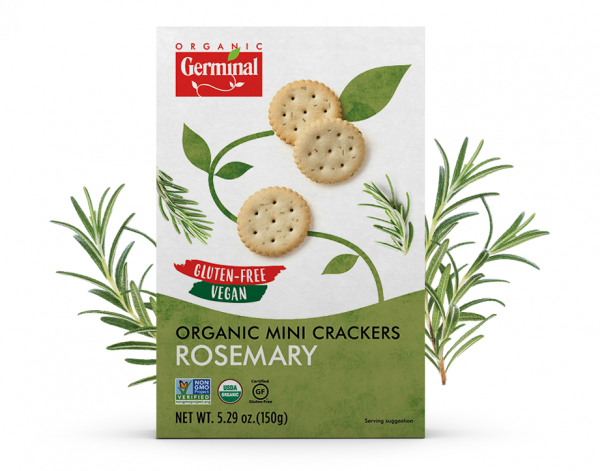 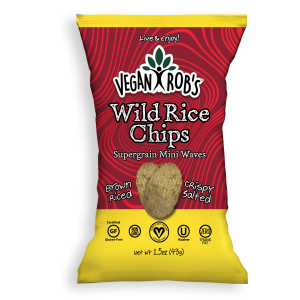 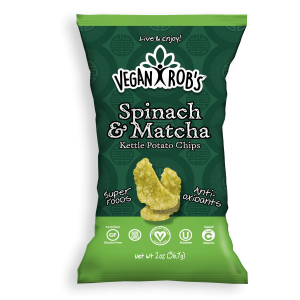 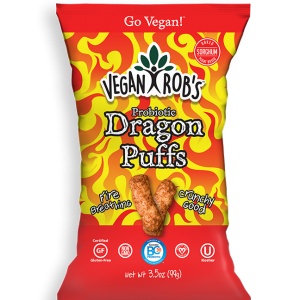 Our delicious, gluten-free rosemary mini crackers are made to be enjoyed any time, any place! 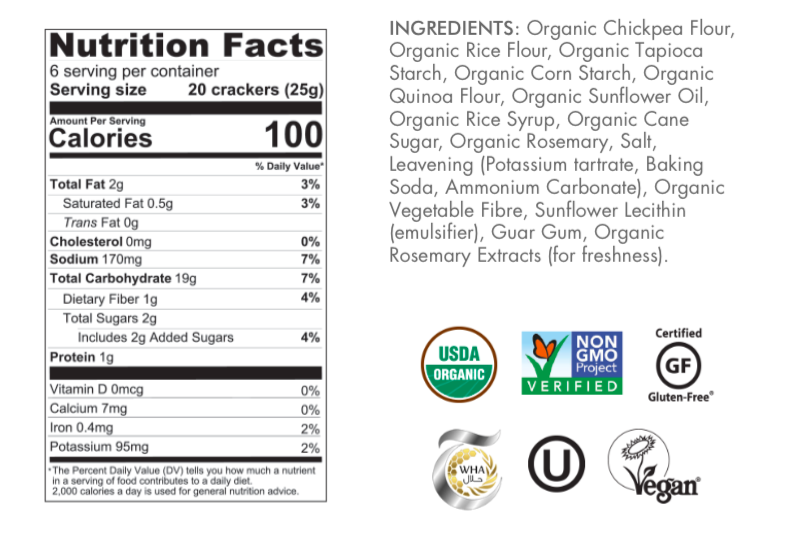 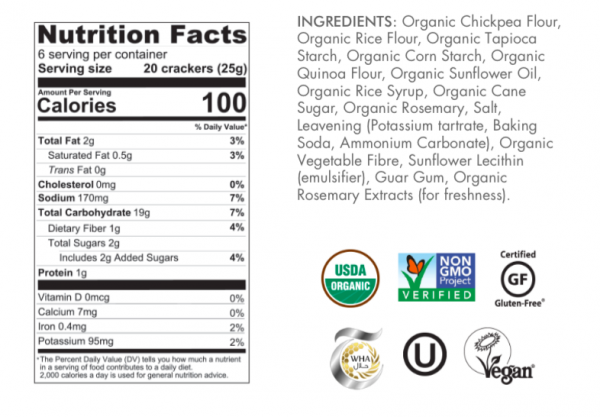 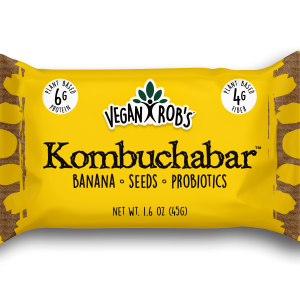 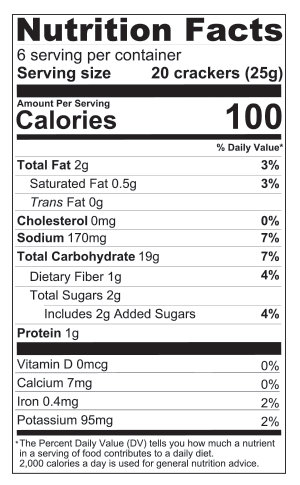 Ingredients: Organic Chickpea Flour, Organic Rice Flour, Organic Tapioca Starch, Organic Corn Starch, Organic Quinoa Flour, Organic Sunflower Oil, Organic Rice Syrup, Organic Cane Sugar, Organic Rosemary, Salt, Leavening (Potassium tartrate, Baking Soda, Ammonium Carbonate), Organic Vegetable Fibre, Sunflower Lecithin (emulsifier), Guar Gum, Organic Rosemary Extracts (for freshness).